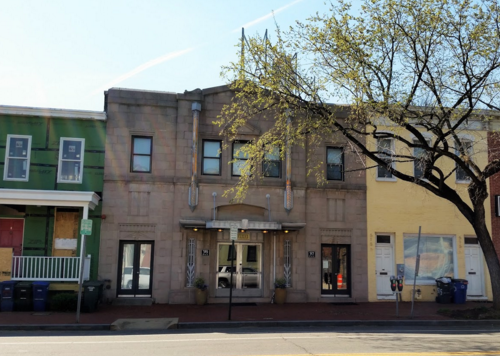 This Art Deco building was formerly the Home Theater, at 1230 C Street NE. It’s now a church. Image created with Google Maps. All other images by the author. We first published this post on April 22, 2016. The architecture is still beautiful, so we're sharing it again. 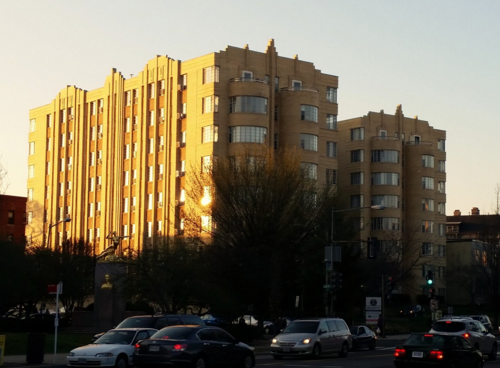 Art Deco developed in a more conservative manner in DC than other places, with architects compromising between radical modernists and traditional classicists. 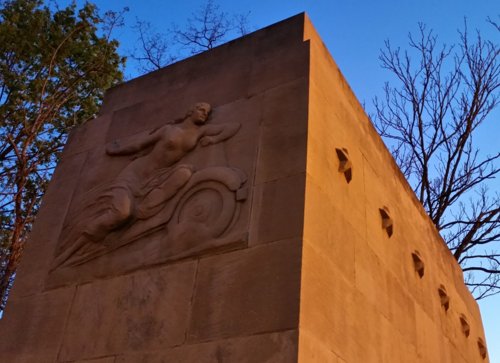 In vogue when DC was expanding to accommodate federal workers in the 1930s, Art Deco used geometric shapes and bold colors, as well as machine and ancient motifs—in particular, it drew inspiration for its more abstract details from non-western influences, especially Egyptian and Mesoamerican ones. Plastic, glass, and concrete were used in novel ways. 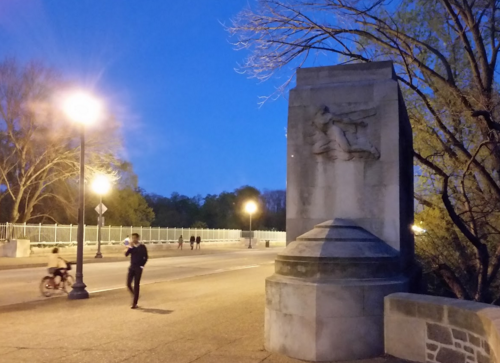 Around the Washington region, more than 400 Art Deco structures went up between 1925 and 1945. 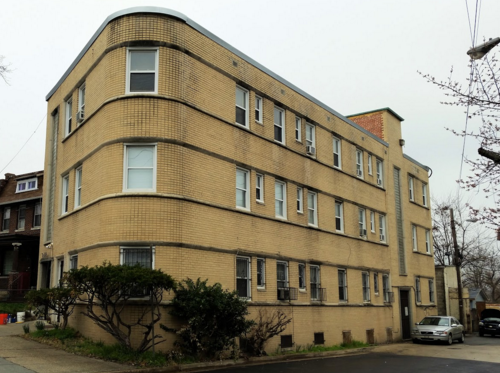 The best-known examples in the city are the Kennedy-Warren Apartments in Cleveland Park and the Hecht Warehouse Co. building (refurbished into loft apartments and retail space) in Ivy City. 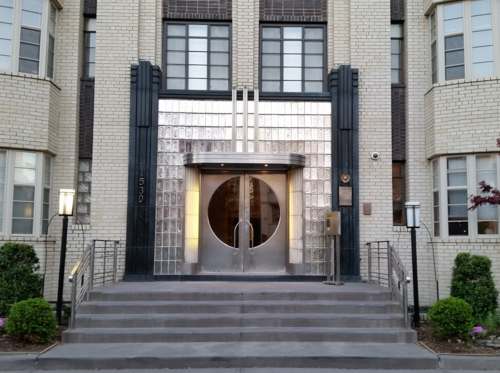 For less-popular examples of Deco, the following list pulls out subtle, but striking, Deco buildings. 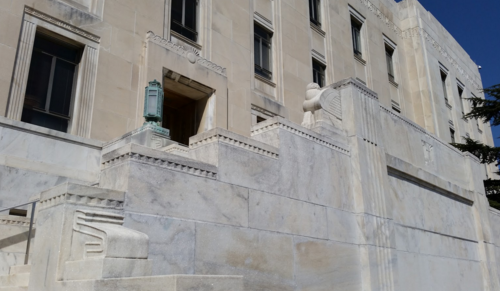 A handful of architects dominated the DC. Art Deco scene. George T. Santmyers specialized in garden apartments, designing almost 50 of them in a 14-year period. The majority of them remain in use. Joseph Abel, like Santmyers, focused on apartments and designed a dozen. John Eberson designed 13 movie theaters, but only the AFI Silver Theatre and Cultural Center in Silver Spring still functions as one. Eberson narrowly triumphed over John J. Zink, who had 11 theaters to his credit. Only one, the Uptown in Cleveland Park, remains in use as a theater.